This product is Step 1 Stripper of the Restore A Deck system. 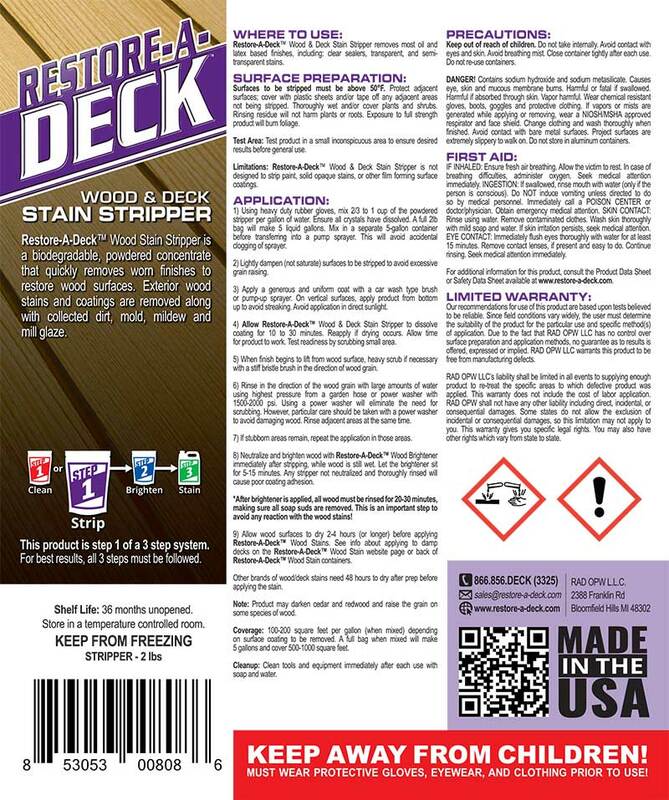 Restore-A-Deck Wood Stain Stripper removes most oil and latex based finishes including: clear sealers, transparent stains, and semi-transparent stains. 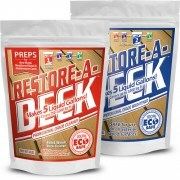 The Restore-A-Deck Wood and Deck Stain Stripper needs to be neutralized with the Step 2 Wood Brightener. Removes most clear, transparent, semi-transparent, and semi-solid coatings. Extremely cost effective. When mixed, the cost is less than $7 a gallon. Coverage: 500-1000 sq.feet per container. 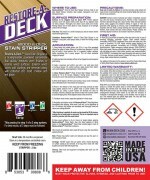 *Will not remove solid color stains, paints, or polyurethanes. Great for removing an old stain! We would not suggest another coat. More is not better and you could have issued with proper drying if you do it now. HI another question. That first coat absorbed really quickly. I would really like to do another light coat this week. Do I have to condition it with your product (I ran out) or is cleaning it with water sufficient. Thanks! You do not want to over apply. Please post a picture to see if it can take another coat or not. Hi There. 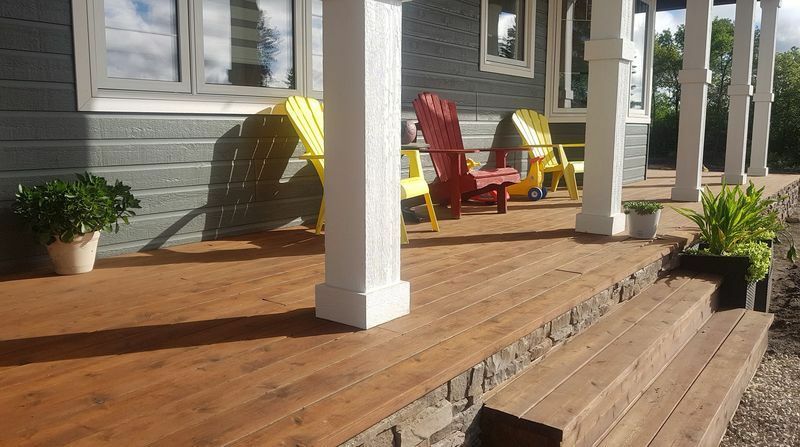 I just completed my large, back deck which is made of red cedar. I used the stripper, brightener and the rustic brown semi transparent stain. I have to say that these products are absolutely incredible to use. I am very happy with the way they worked. I did end up sanding after brightening because of the fuzzing that happened with the cedar. It was new last year and I only got half of it done at the time so the wood was weathered which is probably why the grain was raised. The only negative comment I would have is that the color did not turn out at all the way I thought it would. It is extremely red, almost orange. I am not a fan of the color although my family seem to think it is ok. I realize that wood can be unpredictable and this is not a fault of the product. I would like to put another coat on right away as It does look better on a sample board with another layer added. 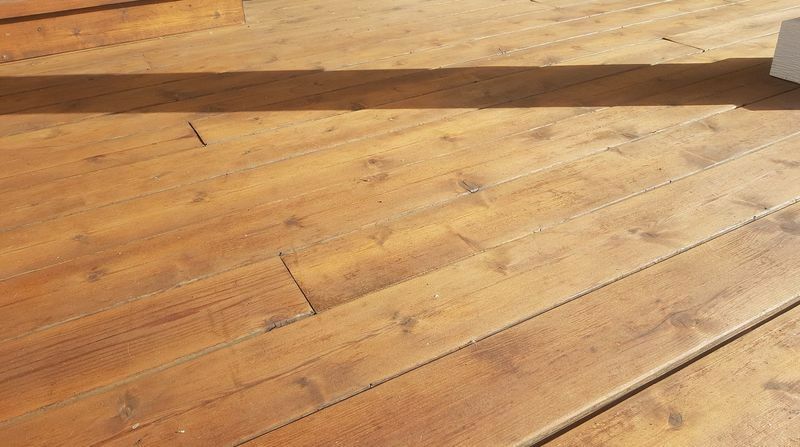 Since the stain was absorbed quite quickly, within and hour to 4 hours with no residue after 24 hours I am hoping it would be ok to add another coat? Is there an option of going over it with a darker color in the future? Thanks! Yes. Just make sure it is a light coat this year. For the future, you can go darker as well. I have another question. 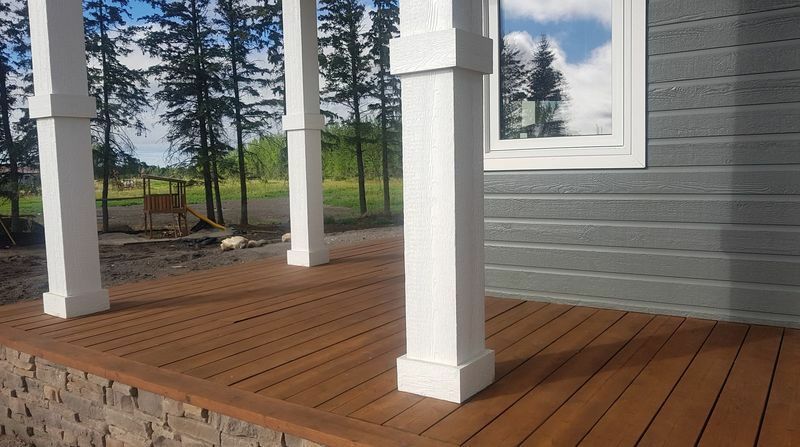 Do you have an info as to how the products work in the harsher Canadian climate. Our summers can be very hot and dry and winters are extremely cold sometimes to -35 Celsius. I also am wondering about the stripper. I cant seem to find any info as to what the steps are in the use of it. Can you provide that. You advertise 3 day shipping. Is that 3 days into Canada as well? We have very positive feedback in the last 5 years with customers using the AC in Canada. Works just as well as the states.